Bauer Vapor X600 Ice Hockey Skates - 2017 - Senior is rated 4.7 out of 5 by 7. The Vapor X600 ice hockey skate by Bauer is packed with some elite-level features that will impress the performance-level, intermediate skater. Upgrades in the footbed, quarter package, and protective foams make the X600 a competitive offering at this price point. The Vapor X600 features the Tuuk LightSpeed Edge holder—the most popular holder in the NHL right now, thanks to Tuuk’s innovative trigger system. This trigger system allows for ultra-quick blade changes, which means more time spent on the ice and less time on the bench fiddling with a skate. The holder is now 3 millimeters taller, allowing players even more edge maneuverability. Beneath it all are Tuuk’s Super Stainless Steel model blades. The Tuuk holder joins an injected TPR outsole that includes a center indentation for enhanced stiffness and rigidity, allowing a more efficient transfer of energy. The TPR outsole supports the fiber composite quarter package—a big upgrade over the X500 quarter. This composite quarter is 25 grams lighter than the previous X600, making this year’s model both lighter weight and stiffer. The boot features Vapor’s one-piece heel and ankle core designed to work with the X-rib design on the back of the boot, increasing its stiffness and adding support for better stability. The tongue in the X600 is a 40-ounce, two-piece white felt tongue with nice thickness, traditional in both fit and feel. It includes a thick strip of high-density foam down the center that protects the top of the foot and helps position the laces optimally to reduce lace bite. The X600 interior features AnaForm ankle pads that are both thick and thermoformable. The foams and outer shell will bake for a fully customized fit and feel. The hydrophobic microfiber liner is soft to the touch and effectively wicks away moisture and sweat from the foot for dry comfort. The foot bed is an upgraded form-fit, molded EVA that promises thick support. Like all Vapor skates, the X600 is a low-volume skate, meaning it’s great for players with a narrow foot and a shallow heel. The X600 is a nice combination of features and performance for the discerning intermediate, performance-level skater who appreciates some of the finer points in skate construction, but prefers not to shell out a lot of money for them. Weight: 865 Grams Weight of the skate measured in Grams (Sr 8.0D, Jr 4.0D, Yth 12.0D). Tongue Material: Anatomical 2-piece 40z felt with HD reinforcement Type of material and design of the tongue. Boot Construction: Fiber composite Type of material the product is primarily made of. Rated 5 out of 5 by HockeyGirl from I love these skates! I am so happy that I bought these skates. They are very light, they fit well, and they are so cool! The only minor problem (for me) is that they are difficult to tie tightly. Rated 5 out of 5 by CubeMonkey from Great fit!! Tried the skate lab and it suggested these were the best fit. I can tell the difference. Very comfortable. Rated 5 out of 5 by Johnny LW from Great Blades One of the best buys I have ever made. Picked them up for less than half the original price on clearance. No fit issues from day one. Just put them on and played, no heat forming needed. 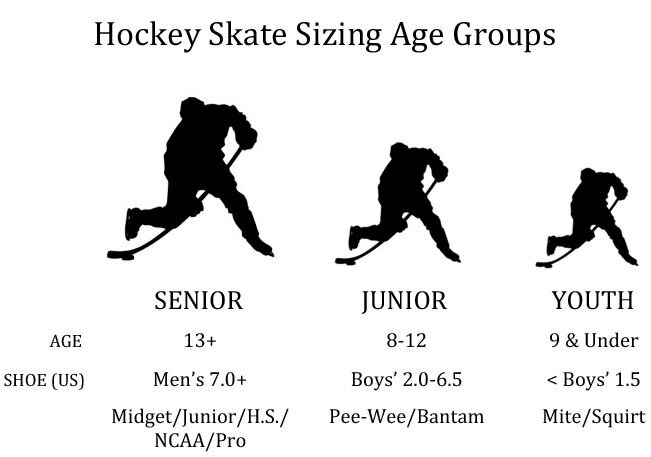 (I'm old school anyway and like to break my blades in gradually. )Perform as well as any top end skate I've ever owned. Excellent level of stiffness around the ankle and foot. The holder and stainless steel blade are the NHL preferred LIghtspeed Edge combo. The steel holds it's edge very well for many games and the holder allow you to change out the blade on the bench during a game.Great lace bite protection on the well padded tongue and a plush interior liner that feels soft yet supportive. You couldn't get a nicer mid level skate on the market today, that performs like a higher level skate on the ice. I highly recommend this skate. I believe you can use it at any level of play and it will perform more than adequately for you. Rated 5 out of 5 by Bluesfan6768 from Awesome Skates! 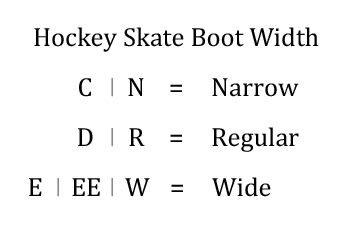 I used the Bauer Skate Lab and the results from the scan revealed that I was in the correct Bauer line (Vapor) but in the incorrect size. The moment I put on these skates in the store it felt perfect. Rated 5 out of 5 by The BEST from Hockey Skate Great skates and customer service, highly recommend. In regards the the Vapor X600 skate, yes they can be heat molded. If you are unable to get them heat molded, over time when you skate or just wear them on your feet, the warmth of your foot will slowly mold them to the shape of your foot.